John F. Taylor, Ph.D., is a leading innovator and highly regarded authority on child discipline from the Adlerian perspective, derived from the observations and strategies of the renowned psychiatrist, Alfred Adler. A frequent consultant to school districts and social agencies, Dr. Taylor is a psychotherapist and family psychologist who has spent over 30 years focusing on diagnosis and treatment for stressed families and behaviorally and academically at-risk children, teens and adults. 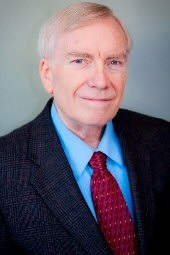 The author and producer of over 200 journal articles, booklets, videos, newspaper columns, and producer of over 200 journal articles, booklets, videos, newspaper columns, CDs, audiotapes and books in the field of mental health, he is Director of Add-Plus, an information and resource provider for Attention Deficit Disorder and related conditions. Dr. Taylor has been a guest on nationally broadcast interview shows and has been listed in three different "Who's Who" directories. Considered well respected, compilations of Adlerian techniques are three of his fourteen books: Person To Person: Awareness Techniques of John Taylor and Virginia Satir; From Defiance to Cooperation; and Understanding Misbehavior. His numerous resources for mental health professionals, school personnel, teachers and parents are available from his website, www.add-plus.com.